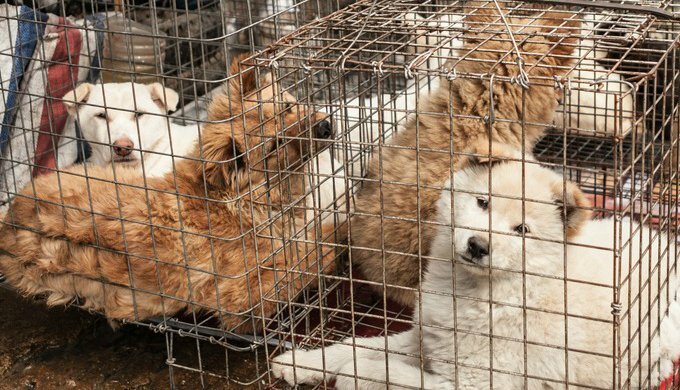 The South Korean authorities have decided to cease the activity of one of the country's largest dog-meat markets, but animal protection organisations condemn it as a lie. South Korea wants to improve its national standing in the approach of the Winter Olympics in South Korea in February 2018. The authorities have ordered the shutting down of the market of Moran situated in the city of Seongnam because of the expected reaction of the tourists regarding the consumption of dog meat. This number allegedly represents a third of canin meat consumption in South Korea. Dog meat is considered a delicacy by Koreans and in their opinion, is even healthy. The 22 traders of the Moran market will have to take down their cages and abattoirs before May 2017, but have protested and wish to claim financial compensation for the closing of their businesses. The animal protection organisation CARE contest the promise exacted from South Korea on the subject of the shutting down of the market of Moran. According to the members of the association, this is only occurring to hide the conditions of the dogs and not to prevent it. A recent press conference has exacerbated the suspicions of the organisation. In the video, it is possible to see a representative of the meat traders that the canine meat market will continue. According to The Guardian, 893 000 dogs were caged in around 100 puppy mills in South Korea in 2010. What do you think will really happen to the market of Moran? Meet the quokka, the happiest animal in the world!